Pegasus Bridge is a legendary part of the D-Day story but myths and misunderstandings abound. The 6th Airborne Division was to begin landing in this area during the early hours of D-Day with a mission to protect the eastern flank of the seaborne landings, commencing a few hours later. For the British and Canadians, this was just beyond Ouistreham, on the beaches codenamed SWORD, JUNO and GOLD. The very first operation of D-Day was to be the capture of the Caen Canal Bridge (Pegasus Bridge) and the River Orne Bridge (Horsa Bridge) a little further up the road. These were the only two bridges between the sea and Caen and so were vital for the linking of the seaborne and airborne forces and also the resupply of the Airborne Division and evacuation of its wounded. This comprehensive pocket guide is designed for anyone visiting the site but is equally useful for anyone wanting an accurate understanding of exactly what went on and where. 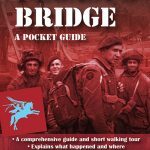 Neil Barber has written a number of comprehensive guides to the Normandy Campaign including an in-depth look at Pegasus Bridge. Here he uses photographs and first-hand accounts to simply explain what happened in those first few vital hours of D-Day.